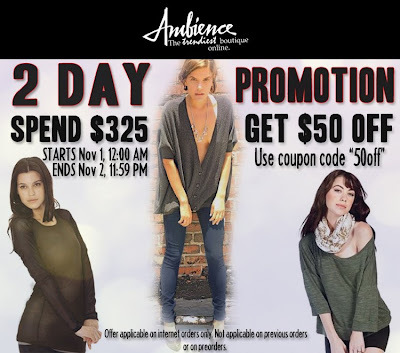 2 Day Promotion, Don't Miss Out! 2 Day Promotion! Spend $325 or more and get $50 off. Use coupon code '50off' at checkout. Promo starts Monday, November 1, through Tuesday November 2. Offer applicable on internet orders only. Not applicable on previous orders or on preorders.